Ok this looks like a stonker of a deal for a workstation laptop. Very fast overclockable laptop CPU, ton of RAM, fast NVMe storage, and very nice display. Best deal so far. Cracking price. Been here all day, this looks like the best 17.3" deal so far. Or am I too tired now??? This is NOT a workstation. This is a consumer gaming laptop. No win 10 pro, no ECC ram, no Xeon processor, no l3 cache, no professional gpu, (980 is a consumer card!) Still a monster laptop for the price but dont expect to be using cad or 3d modelling with this, its more for games and The 980 will rip through most games!!!! "EVGA reveal their first ever Gaming Laptop,"
This is NOT a workstation. This is a consumer gaming laptop. No win 10 …This is NOT a workstation. This is a consumer gaming laptop. No win 10 pro, no ECC ram, no Xeon processor, no l3 cache, no professional gpu, (980 is a consumer card!) Still a monster laptop for the price but dont expect to be using cad or 3d modelling with this, its more for games and The 980 will rip through most games!!!! Won't 8gb gt980 outperform 1060 3gb? 1050 is still a consumer card. Been here all day, this looks like the best 17.3" deal so far. Or am I too …Been here all day, this looks like the best 17.3" deal so far. Or am I too tired now??? It's also got no t*ts no fan*y flaps no round a$$ and that 980 is far from …It's also got no t*ts no fan*y flaps no round a$$ and that 980 is far from a 10/10! Haha ok, some people being a little pedantic and missing my point about this laptop. It might not meet the exact requirements for a true 'workstation' (that I have no idea how much more expensive would be for the same basic performance...), but this thing has more than enough power under the hood for some serious professional work. And yeah I know full well it doesn't have the latest and arguably greatest GPU architecture which would run cooler and more efficiently for the same performance, but it's still enough for some decent gaming in 2017. But that's why I listed this as a 'getting sh*t done' laptop, and with that CPU and that much RAM it's going to be excellent as a mobile 'workstation'. Haha ok, some people being a little pedantic and missing my point about …Haha ok, some people being a little pedantic and missing my point about this laptop. It might not meet the exact requirements for a true 'workstation' (that I have no idea how much more expensive would be for the same basic performance...), but this thing has more than enough power under the hood for some serious professional work.And yeah I know full well it doesn't have the latest and arguably greatest GPU architecture which would run cooler and more efficiently for the same performance, but it's still enough for some decent gaming in 2017.But that's why I listed this as a 'getting sh*t done' laptop, and with that CPU and that much RAM it's going to be excellent as a mobile 'workstation'. Saying delivery on Monday but can't see it. Needed a new laptop for editing drone videos and this looks ideal. No it doesnt have power for professional work. Amateurs comment. This is a consumer and gaming pc. PERIOD!! No true professional would use this for their work, or if they do, there starting out in business. Dell precision, hp zbook, lenovo thinkpad p51 etc are true professional laptops. And yes, they look the same on paper, but only when this crashes and all your data disappears after 18 months, a true workstation still has the supoort from thr manufactors for years to come, and WONT crash as they use superior prodicts, specilised drivers and major support!! THIS IS A GAMING RIG! And no, a gtx is not a quaddro card!!! No it doesnt have power for professional work. Amateurs comment. This is a …No it doesnt have power for professional work. Amateurs comment. This is a consumer and gaming pc. PERIOD!! No true professional would use this for their work, or if they do, there starting out in business. 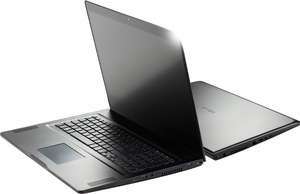 Dell precision, hp zbook, lenovo thinkpad p51 etc are true professional laptops. And yes, they look the same on paper, but only when this crashes and all your data disappears after 18 months, a true workstation still has the supoort from thr manufactors for years to come, and WONT crash as they use superior prodicts, specilised drivers and major support!! THIS IS A GAMING RIG! And no, a gtx is not a quaddro card!!! Wowww..... You need to chill my friend. Right firstly what is a "true professional"? Plenty of people who make money from what they do have used this and similar laptops, such as youtubers. Something like this can make for an ideal mobile video editing machine, such Callum above for editing Drone vids. I and other musicians could make great use of the horsepower for creative work, are we not professionals? Modern consumer computer hardware won't spontaneously combust...... If what you are running on this is absolutely critical, with huge amounts of money or even lives at stake, then sure you absolutely might want to go the ECC RAM and super solid drivers route. I would like to see some evidence as to why this "doesnt have power for professional work", like honestly I would love to know what this cannot do that a comparable Xeon/Quadro machine can. Sure if the GPU is of critical importance then go for something with the latest Pascal architecture, but otherwise the CPU is still about as good as it gets in the mobile space. Xeon and Quadro stuff is basically the same underlying silicon designs as consumer hardware, with the difference being as you say the signed driver support, which would definitely be important in something like a server or render farm type of operation. But for the home professional working on their projects then this IS going to hold up just fine. Any pro worth their salt is going to be backing up data properly too, not that I would expect any such losses under normal conditions for a few years at least. Yep this is a 'consumer gaming laptop' from a consumer gaming company, but that doesn't mean the engineers and software people who work there are total fools.... They clearly know how to make a solid, reliable and high performing product. Tell me again that this is an amateurs comment.
."I and other musicians could make great use of the horspower for creative work, are we not professionals? " Apologies, no offence and yes, u are professionals but editing videos and music doesnt need a true worstatio, a consumer pc is more than adequate for that. 3d modelling, cad, engeering etc need a true workstation. Not replied as just bit the bullet and spent £3k on a workstation laptop, feel sick in my mouth as this laptop is a beast but unfortunately bottlenecked on purpose by manufactors for enegieers, cad designers, architects etc.so we are forced to buy 'workstations' aka Consumer laptops, unpugged if you will! No worries. I guess my perspective on tech has always been a non-elitist stance, making the most of what you can get with the best performance for the cost, and there's clearly serious diminishing returns with enterprise level stuff. You make a good point regarding the arbitrary limitations that the manufacturers put on the consumer level stuff, really annoying when they artificially limit perfomance in certain applications so as not to hurt their sales of the higher level gear. IIRC A recent case of this was when Nvidia released drivers allowing the Titan Xp to perform as well as the Quadro cards in some professional applications, showing that it could have done that the whole time. That was in response to the release of AMD's Vega GPUs, with AMD generally being much less restrictive with allowing their hardware to stretch to it's full potential. I highly doubt this could not do just as well in 3D modelling and CAD stuff as comparable enterprise professional gear, though I would love to see some good benchmarks on that. If the GPU is really important for that stuff then get something more recent. I guess it comes down to the software and whether it specifically is coded and developed to primarily use the Quadro cards. Not super into 3D modelling stuff so I don't really know, but I know that something like Blender will work plenty well on consumer graphics chips. And yes, they look the same on paper, but only when this crashes and all …And yes, they look the same on paper, but only when this crashes and all your data disappears after 18 months, a true workstation still has the supoort from thr manufactors for years to come, and WONT crash as they use superior prodicts, specilised drivers and major support!! A professional has a live backup & version control solution. Data security is the only considerable functional difference between a professional grade, and consumer laptop. Regardless, nice laptop at a nice price! If anyone else ordered it looks like will be in stock on 30th November. Been looking around after purchasing and for video editing it's an absolute steal. I spoke to them again yesterday. They were given estimated delivery of 30th November from supplier. According to them is due in anytime and will be shipped out straight away. I got the same confusing email last night. I thought about cancelling but I'd be hard pushed to find anything similar with a 4k screen for anywhere close this that price. Think it will be worth the wait. Hi mate, that's it in stock. Dispaches tonight or tomorrow. Hi mucka, yep recieved mine yesterday, omg it's heavy but lovely build quality... Missing free back pack though!!! Hi mucka, yep recieved mine yesterday, omg it's heavy but lovely build …Hi mucka, yep recieved mine yesterday, omg it's heavy but lovely build quality... Missing free back pack though!!! I was wondering same about backpack.